The “Songs of My People” art exhibition, featuring fifteen new works by Savannah and New York artist Luther E. Vann, celebrated co-creator of the landmark art and poetry book ELEMENTAL, The Power of Illuminated Love opened November 11 at Penn Center’s York W. Bailey Museum on St. Helena Island, South Carolina. 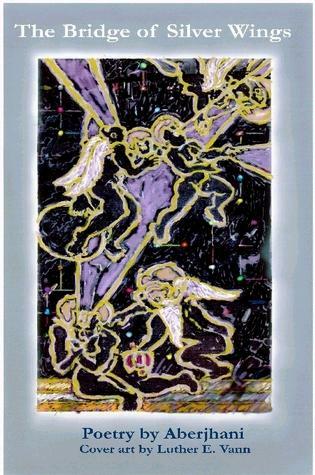 “Songs of My People,” which will remain on exhibition until January 7, 2012, is Vann’s first major art exhibit since his triumphant ELEMENTAL show at the Telfair Museum’s Jepson Center for the Arts in Savannah, Georgia, in 2008. New “Songs of My People” Art Exhibition Opens at Penn Center | Aberjhani | Blog Post | Red Room. ELEMENTAL artist Luther E. Vann. The goal of each has generally been the same: to fashion out of the raw material of creativity a symbol-or an image-capable of communicating some significant experience of truth, beauty, life, or death, to the observer. And there have been in fact any number of successful partnerships between such creatively charged intellects. Artist Romare Bearden and playwright Ntozake Shange’s I Live in Music comes to mind; as does various works by Salvador Dali and Federico Garcia Lorca; the visual style of Aaron Douglas and the literary voices of the Harlem Renaissance; the French poet and critic Apollinaire Guillaume, whose literary loyalty empowered the bohemians of Picasso’s early days; and more recently, poet Coleman Barks’ interpretations of Jalal Al-Din Rumi “illuminated” by Michael Green. I meditate upon these creative artists’ subtle yet titanic achievements at this time for two reasons: one is because the ear-drum shattering booms of war and the soul-numbing cracklings of human discontent that continue to echo across planet Earth remind us of how painted and verbalized visions help people retain a sense of context and harmony in an era that too often seems to make such notions-like black and white TVs– utterly obsolete. The second reason is because May 29, 2010, marks the second anniversary of the publication celebration for the art and poetry gift book, ELEMENTAL, The Power of Illuminated Love, held at the Jepson Center for the Arts in Savannah, Georgia. A third less official reason is because recently ELEMENTAL was added to the Google Book search engine, which means those unfamiliar with it may now enjoy an extended preview . Until the advent of the modern self-publishing and “author services” industry, getting any book published by an author who had yet to establish him- or herself as a viable commodity within the literary marketplace was much like running, at first one decade-long marathon to build up enough courage to call oneself an author, and then a second to convince a bona fide publishing house that you were not delusional by making such a claim. This meant books of poetry published outside the academic arena were considered foolishly frivolous investments, and books of art extravagant pleasures afforded the few but not the many. Yet at how many graduation ceremonies, political functions, funerals, weddings, conventions, and other life-defining events are the words of poets evoked to clarify the spirit and substance of the occasion at hand? On how many rainy days and in how many hours of stifled desperation has an individual made her way into a museum or gallery and took healing refuge in an image that bore witness to their heart’s challenging journey? There is much that could be said about ELEMENTAL as an extraordinary gift of manifested vision in the lives and works of two creative artists. We can note the still amazing fact of how I first came across Luther E. Vann’s work on exhibit at the Beach Institute on May 30, 1991, and found myself transcribing his painted worlds into notes for poems and essays long before considering the possibility they might one day serve as the foundation for a book. Or we may consider how the journey started on that day took another 17 years–almost to the day!– before arriving at the destination of publication. From the writer-poet’s perspective, I remain humbled by the history accumulated along the way and which in times of doubt helped renew motivation and creative energy. That the poems eventually included in ELEMENTAL contained value far beyond kudos for an individual author was made evident when audiences at coffee house open mics expressed their enthusiasm and readers of those poems published in ESSENCE Magazine did so as well. The greatest testimony, however, came when the story of the struggle to publish ELEMENTAL reached members of the Telfair Museum Friends of African-American Art and they in turn shared it with the city of Savannah. Members of the community (SEE “Thank You Gracious Contributors” page in Google book preview) then chose to have their say by contributing funds to raise the monies necessary to get the book published. They succeeded in a spectacular way that remains profoundly inspiring. Whereas the great historian and humanitarian W.E.B. Du Bois once observed that “the cause of war is preparation for war,” the actions of those who made ELEMENTAL possible led me to consider that the cause of beauty and grace in the world is humanity’s empowerment of beauty and grace in the world. While it is unlikely that poetry or art shall eliminate the reality of war in the twenty-first century, it is thrilling to know there remain individuals, and even entire communities, still willing to invest in art and poetry’s own uniquely explosive contributions to the great, and small, dramas of human history. 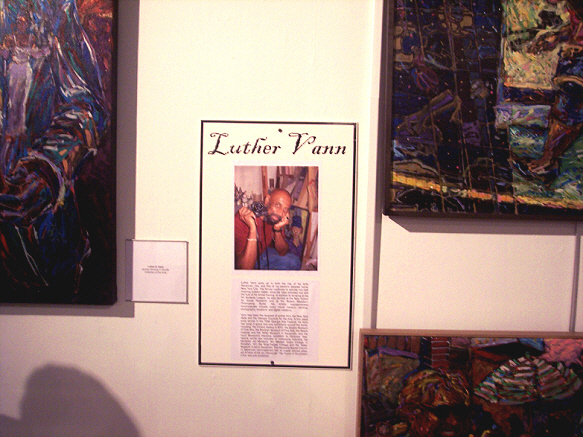 For the past almost two decades, I have found myself frequently inspired by the work of artist Luther E. Vann, so much so that essays and poetry derived from meditations on his metaphysical paintings and sculpture eventually helped produce the book ELEMENTAL, The Power of Illuminated Love. Last summer (2008) thousands of visitors to the Telfair Museum Jepson Center for the Arts in Savannah, Georgia (USA) discovered Vann’s exceptional canvases on display during his ELEMENTAL exhibit, and this summer many more are discovering and re-discovering the artist following the recent announcement that he is one of the recipients of the 2009 King-Tisdell Cottage Foundation Arts Awards. As an associate pointed out to me a few months ago, many very fine visual artists tend not to receive much validation of their work, or even of their identity as artists, within their home towns. With that in mind, it’s truly inspiring to acknowledge the efforts organizations and individuals have made to recognize Vann’s contributions to contemporary art. The fact that my literary sensibilities encountered Vann’s painted pursuits at an intersection of shared creative visions remains one of the more intriguing developments of my aesthetic and spiritual life. Even more curious (I almost want to use the in-vogue word “improbable”) to me is the fact of our separate but equally authentic links to the jazz age era of the Harlem Renaissance: Vann’s connection comes as a one-time student of Harlem Renaissance artist Charles Alston; and mine as co-author of Encyclopedia of the Harlem Renaissance. The synergy of our shared creativity may be seen not only in ELEMENTAL but also via the cover art that Vann graciously provided for my novel Christmas When Music Almost Killed the World and for my most recent volume of poetry, The Bridge of Silver Wings 2009 . Yet it seems to me that the greater dynamic instance of synergy is not so much what we have been able to accomplish as cultural workers, but what something beyond our visions, or abilities, manages to achieve when readers and viewers add their individual experiences to the work. Their focused attention brings to it personal histories, conversations, interpretations, emotional responsiveness, and a quiet or not-so-quiet wonder that in itself transforms a moment in time into a work of living art in humanly-divine progress. Such moments can endow art with a functional capacity for revelation or healing, and they can charge an individual life with a renewed sense of purpose and meaning. They can also make a literary artist or a visual artist more fully appreciate the anguish and joys of a creative journey that produced more than one ever dared anticipate.